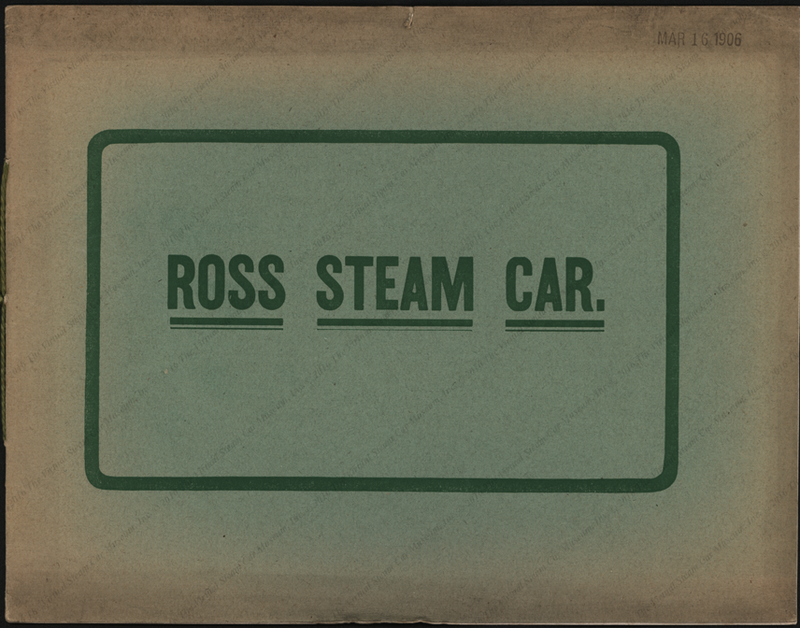 The Ross steamer used a single-acting 2-cylinder engine of 126 ci, rated at 25 hp at an operating pressure of 375 psi. The main model was a wooden-bodied five-passenger touring car. It weighed 2,800 lbs and was priced at $2,800. In 1908 a two-passenger runabout was also built, for $2,250. This Louis S. Ross trade catalogue is date stamped March 1, 1906. Georgano, G. N., Encyclopedia of American Automobiles, (New York, E. P. Dutton & Co., 1968), p. 174. 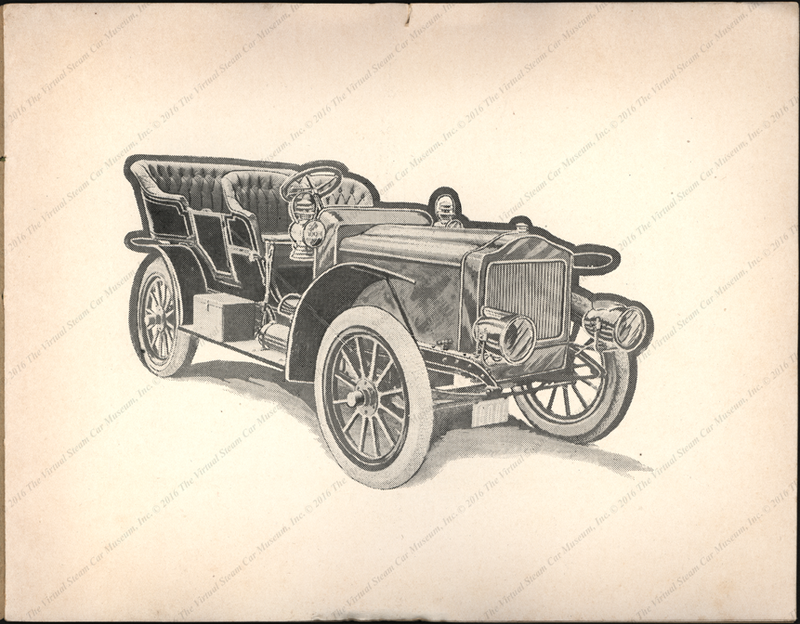 Contact us if you have additional information about the Louis S. Ross Steam Car, or if you have questions.